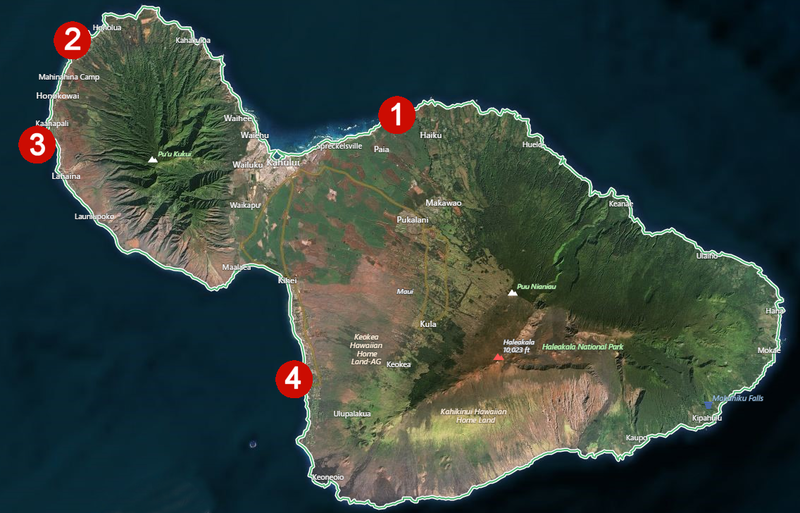 Map of places most likely to see a sea turtle on Maui. If your family is like mine, a highlight of family vacations is seeing the wildlife. On our Hawaii family vacations, we delight in seeing the whales, seals and sea turtles. In my various posts, I point out places to see these amazing creatures. This one is dedicated to spotting those remarkable sea turtles. There are actually three types of turtles in the Hawaii area: green sea turtles, hawksbill turtles, and the leatherback. The leatherback has been spotted in the deep waters around Hawaii but they do not nest on the islands and you probably won’t see one. The green sea turtle (Hawaiian name Honu) are the most common turtle around Hawaii and have a vegetarian diet–eating mostly algae. Fully grown, these turtles can weigh over 600 pounds and be almost five feet long. While they can live a long life, they don’t quite live as long as their cousins the tortoises. These turtles can live up to 80 years or more. Every two to five years, these turtles migrate 500 miles northwest to the French Frigate Shoals to mate and nest. The French Frigate Shoals is an atoll in the Hawaiian islands that you have probably never heard of it. The Hawksbill turtle (Hawaiian name Honuea) can be distinguished from its counterpart by its uniquely pointy beak. They can grow to be about 3 feet long and over 200 pounds. 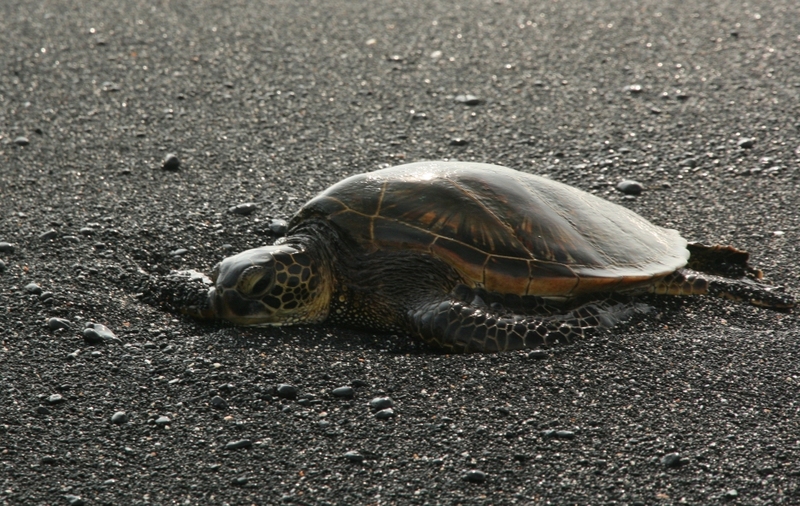 Some Hawksbill turtles have nested around Oahu, Maui, Molokai and the Big Island. They are omnivorous. While also eating algae, they will eat jellyfish, sea urchins and crustaceans. They are a critically endangered species. Humans are their biggest enemy–eating their eggs. They are also hunted for their beautiful shells. 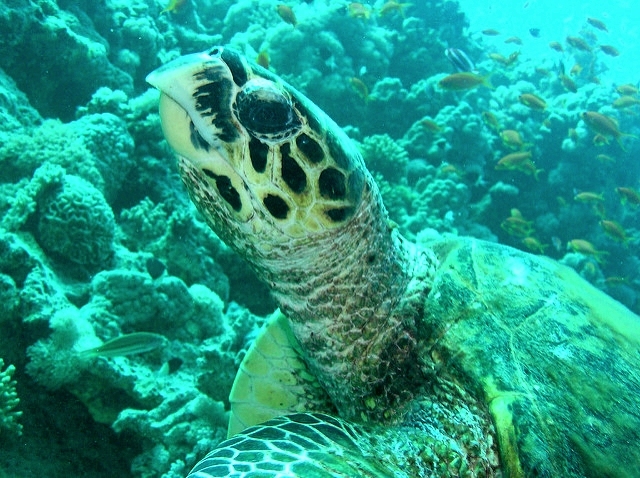 While tortoise meat is a delicacy in the Caribbean, Hawksbill meat is poisonous to humans. Okay, so where do we go to find these fun critters? Below is my list of favorite spots to see the turtles. Keep in mind that they often blend in with the scenery. Sometimes you will see them surrounded by boulders and looking like boulders. Sometimes, you do a double-take when you spot a shell just poking out of the waves. Here is where you might be able to see literally dozens of turtles sunning on the east side of the beach. The later in the day it gets to be, the more the turtles accumulate. Ho’okipa beach is a fun place to visit anyway. It is the mecca of hard-core wind surfers and a fun place for the rest of us to watch these althetes’ awesome skills. Come to see the turtles or the wind-surfers. You win either way. Ho’Okipa beach can be found at mile marker #9 on the Hana highway. Napili bay is a charming little crescent shaped beach that is great for snorkeling. Your best bet for finding turtles is on the South side of the bay. 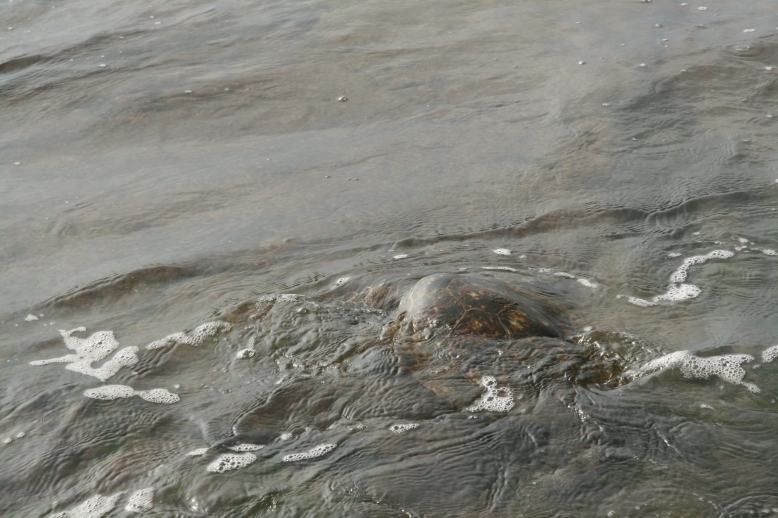 Napili bays hosts a turtle cleaning station. This is an area where there is lots of coral and tiny fish. Larger sea creatures, sea turtle in this case, congregate to get cleaned by the smaller aquatic life. At the North end of Ka’anapali beach is a large formation of black lava rock. This is out in front of the Maui Sheraton and is known as Black rock. In this area is the best snorkeling on Ka’anapali beach. If you scramble around the lava rocks, you are likely to see sea turtles bobbing around out in the ocean. Lava rock is sharp so don’t attempt this without good reef shoes. You can also swim out there but be sure to keep your distance from the rocks and be aware of the surf. It would be easy to slammed into the rocks by a wave if you are not careful. You are safer during the summer months but always check the current surf conditions as the surf can change drastically within a few days. 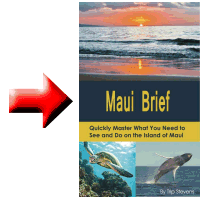 There is a stretch of Maui’s southwest coast that is a little over two miles long and hosts a high density of sea turtles. The northern point of this stretch is Wailea point or due west of the Maui Four Seasons resort. The southern end of this stretch is Maluaka beach. This area will most likely require that you get into the water as you are far more apt to spot turtles out in the water than on the beach. Here are some specific areas in that two mile region where turtles are known to hang out. Wailea Point: Straight out from the Four Seasons resort is a rocky coast where turtles like to hang out. Earlier I talked about the diet of the sea turtle being algae. If you want to see the turtles, go where they are eating and that will be in areas with lots of coral or lava rock. You are not likely to find a lot of turtles in areas with smooth sandy bottoms-except maybe sleeping. Chang’s beach and Five caves. Snorkel out in this area and see if you don’t spot some turtles immediately. If you don’t try back at another time of the day. This area is especially popular with tour boats. I have noticed that at different times of the year, I can zoom in on this region in google maps and can see several boats around the five caves region. Malauka Beach. This is straight out from the Makena Beach and Golf Resort (formerly the Maui Prince). This is a great little beach to visit with or without turtles. Its seldom too busy and is a fairly protected water area. You can often spot turtles in the water here. They are more likely to be found at the north end or south end of this beach as both have lava rock formations. Those are the areas to go snorkeling. There is a white buoy straight out from the beach. If I am feeling energetic, I will often swim out to that buoy with a mask on. In that area, I will often find turtles sleeping at the bottom of the ocean. There is one turtle in particular that I see there again and again. It is easy to recognize because it is missing half of one of his or her flippers. In the glossy magazines that you pick up in the airport or in advertisements around town, you will see ads for boat touring companies that will take your money and then take you by boat to “turtle town.” Turtle town is in a different location for each different company and your mileage will vary on if you actually see turtles or not. 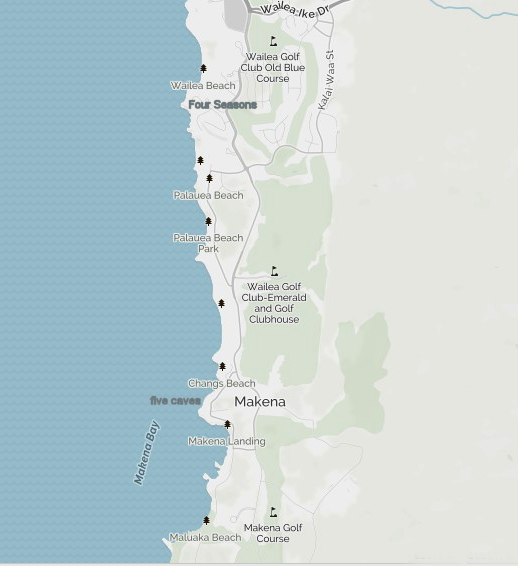 The majority of these Turtle towns are between Five Caves and Maluaka beach. If you are considering one of these tours, I would suggest that you schedule it later in your vacation. If you follow my advice above you might have better luck spotting turtles on your own. Also on these group tours, I have found that even if the boat finds wildlife, you personally are not guaranteed to see it. Often the aggressive personalities that have no trouble pushing up to the front of the crowds will get to see it all. Those who wait their turn get a good opportunity to see where a turtle was last spotted. Most species of sea turtles are threatened or endangered. 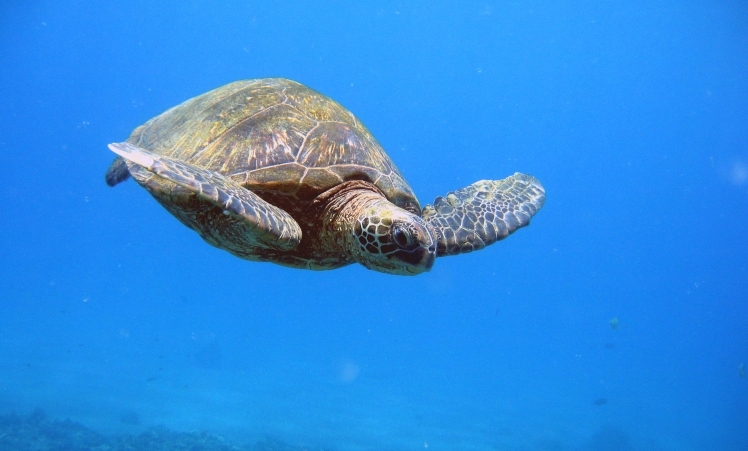 Sea turtles in Hawaii are protected by both state and federal law. If during your Hawaiian adventures, you encounter a turtle in danger: stranded, entangled or injured , please report it immediately by calling the NOAA hotline for the specific island you are on. While the laws that protect the turtles do not specify a specific distance to keep between you and the turtles, the guidelines from the DLNR (Department of Land and Natural Resources) suggest a range of 150 feet. When taking pictures of Hawaii wildlife, I always use a telephoto lens to keep a proper distance. You often see a turtle or seal on the Hawaiian beach that is cordoned off with yellow tape to give these animals some protection from the beach crowds. Just as often, you will see someone slip under the tape to get a close-up or a selfie with their cell phones. Please don’t be one of these people. In the water is a little different story. On land, turtles move quite slowly and are quite vulnerable to their predators. In the water, they move gracefully and swiftly. They can move must faster than you can underwater. I have had turtles come quite close to me in the water. I think like the fish I see snorkeling, they don’t feel too threatened as they always know that they can quickly put miles between me and them very quickly if they want. It is not uncommon when snorkeling on Maui to see a turtle or spinner dolphin sleeping on the bottom of the ocean. If you come across this situation, do not hover above the animal. Always give them an escape path so they do not feel threatened. If you do happen to wake them up, they may appear to be a little groggy and move slowly. Give them plenty of room. While they might appear to be injured, they are more likely, just waking up. I wish you the best of luck spotting these magnificent creatures. Turtle encounters always enhance my Maui vacations.